TourReady supports JUSTABUNCHOFROADIES.ORG, by donating a portion of their subscription revenue to the non-profit organization. Buena Park, California - October 6, 2015 - TourReady, an online service that helps concert touring freelancers find work, today announced an alliance with JUSTABUNCHOFROADIES.ORG in which TourReady will donate a portion of subscription revenue to the non-profit. TourReady and JUSTABUNCHOFROADIES.ORG will work on developing a volunteer section on the TourReady website that help members find opportunities to give back. This added feature is expected to help raise awareness and increase the number of music industry professionals involved in humanitarian projects worldwide. TourReady is dedicated to simplifying crew management for concerts, tours, and festivals around the world by seamlessly connecting hiring production personnel to freelance professionals via its website and iOS app. Some of the most respected and knowledgeable touring professionals in the live event industry have contributed to TourReady's conception, making it the new standard to find work or hire crew. TourReady's simple and focused approach makes it the best platform to connect, find, and be found in the concert touring industry. 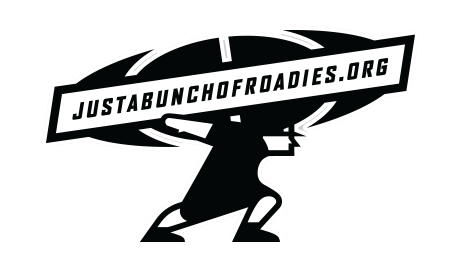 JUSTABUNCHOFROADIES.ORG is an organization whose goal is to utilize the skills, assets, relationships, determination and compassion of those who work in the touring music industry in order to execute humanitarian based projects domestically and internationally. JUSTABUNCHOFROADIES.ORG’s intent is to respond to specific project based needs in a collaborative and efficient manner with the companies and individuals in the music industry and in tandem with other npo/ngo’s in order to double their efforts or broaden their reach. For more information about TourReady, visit www.tourready.com. For more information about JUSTABUNCHOFROADIES.ORG, visit http://www.justabunchofroadies.org.